Produktinformationen "KidWind 12V/500mA Solar Panel"
The powerful 12V/500mA (6 watt) solar panel is great for classroom experiments and basic applications that require more power. 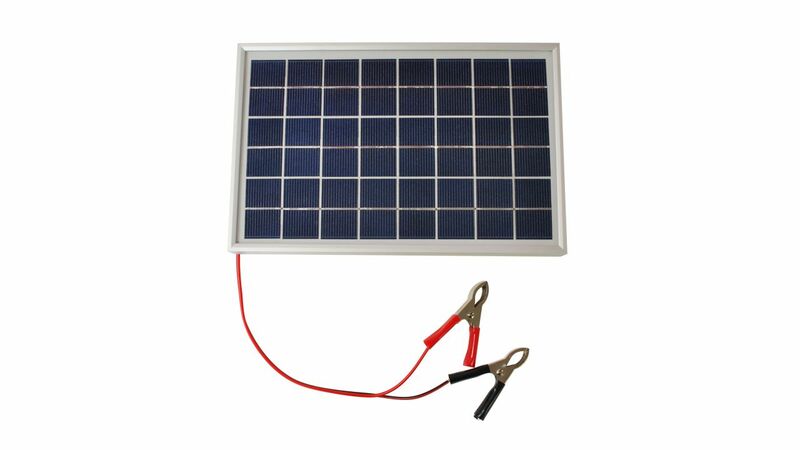 The powerful 12V/500mA (6 watt) solar panel is great for classroom experiments and basic applications that require more power. The aluminum frame glass laminated solar module allows for more robust solar experiments. 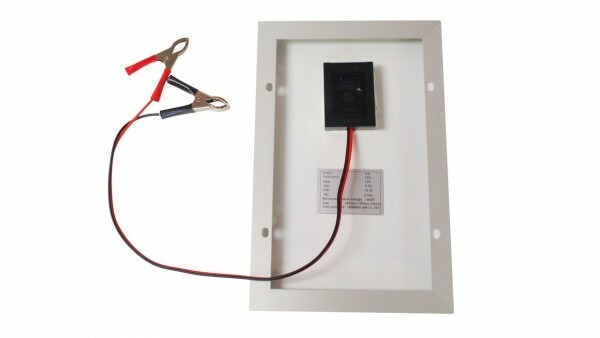 Suitable for long term outdoor use, this panel can function as a power source for many devices. You can quickly connect electrical devices and circuits with large clamps on 20-inch wire. This panel is PET laminated, so it will still work under rainy conditions. Please note: The 12V panel is not recommended for use with any of our small load devices, such as: small motors, water pumps, sound and light board, or LEDs. When applying power to an electrical device, you need to verify the max power input because you may damage the device. Weiterführende Links zu "KidWind 12V/500mA Solar Panel"
Garantie(Jahre) "KidWind 12V/500mA Solar Panel"
Kundenbewertungen für "KidWind 12V/500mA Solar Panel"